Rentals last a half or a full day. 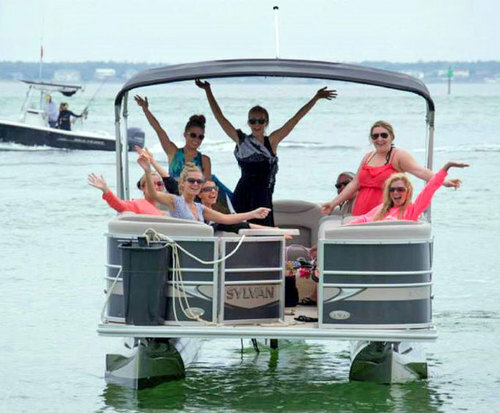 Pontoon Boating is an excellent way for between 10 to 20 people to share a water excursion from one water craft on the Choctawhatchee Bay. 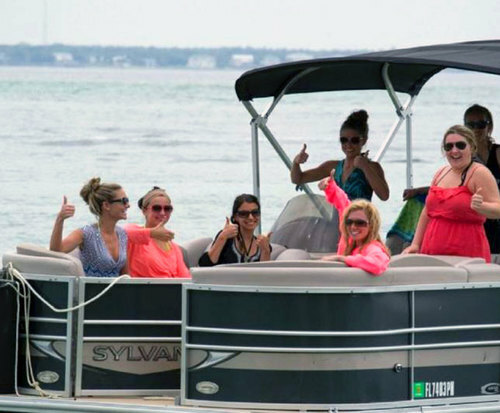 A pontoon boat has flat deck and the larger ones have a top deck and some even come with a slide. People can exit the boat from several different points on the boat. Usually the ride on a pontoon boat is smooth and stable because of the large pontoon it sits on. The pontoon boat usually has several cushioned bench seats and is open so it's easy to see in every direction by every passenger and for picture taking. The 129 square miles Choctawhatchee Bay is 1 mile to 6 miles wide and has depths from wading to 43 feet. It also has many bayous, creeks, and rivers that can be explored. 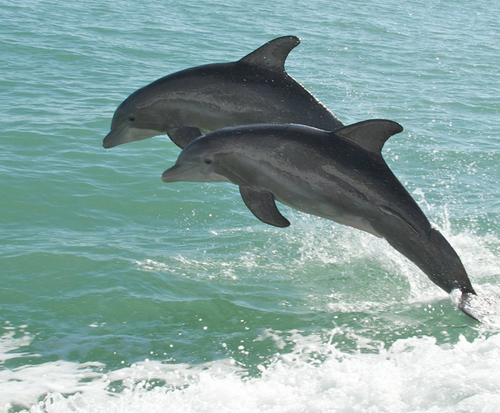 There are dolphin and seashell tours as well as sunset cruises. There are cypress trees, wildlife to seek out, and great marine life to snorkel with. Florida requires a fishing license so be sure to make sure those details are provided from the boat rental business for this fishing paradise. So gather up a sunscreen, sunglasses, picnic supplies, water toys including water sports gear, ice chest, towels, snorkeling gear, fishing gear for a fun filled day on the beautiful emerald green waters of Choctawhatchee Bay. Be sure that everyone has a life jackets before starting the cruise and most importantly that everyone is wearing their smile!